Little bags are one of this winter's 'must haves', and here is one with enough space for your phone, keys and a lipstick - why would you want something bigger? 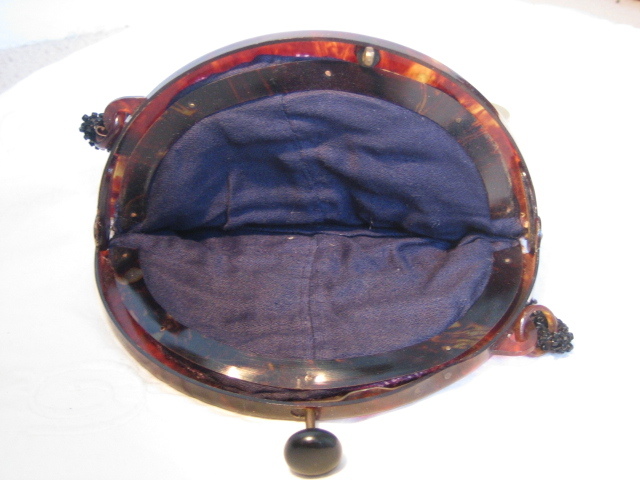 The bag is on a mock tortoise-shell frame, and opens by pressing down the big button. 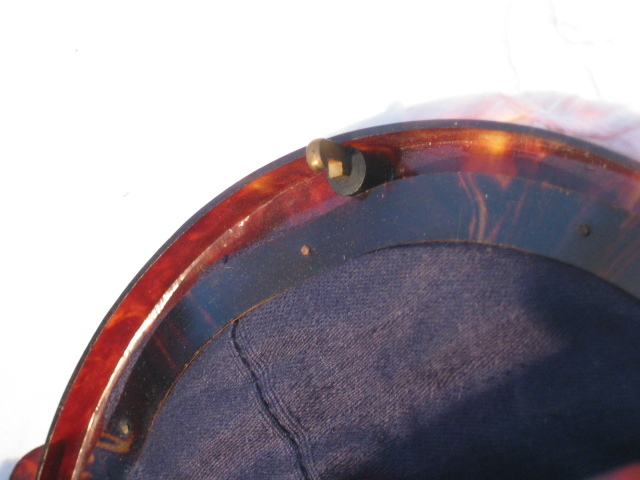 Inside there is a little side pocket (not easy to photograph! ); no labels, although it appears to have been professionally made. 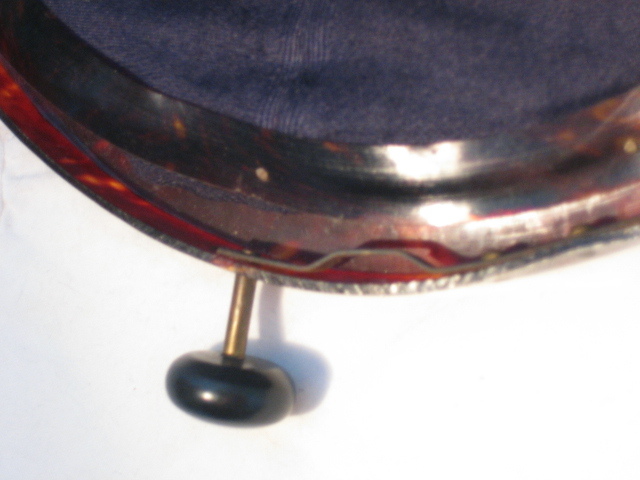 No rips, tears, or marks on the lining. 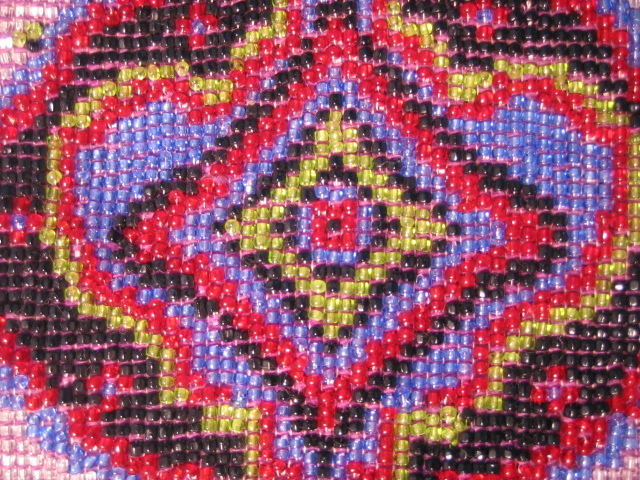 The whole bag is covered with little beads, with the same design front and back in the same, vibrant colours - gorgeous! 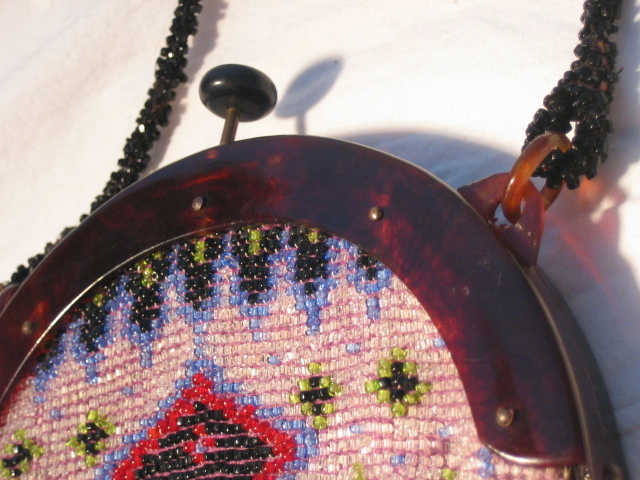 Even the handle is beaded! It's perfect for an evening party, with subtle lighting which will catch the hundreds of tiny facets and make them shine! 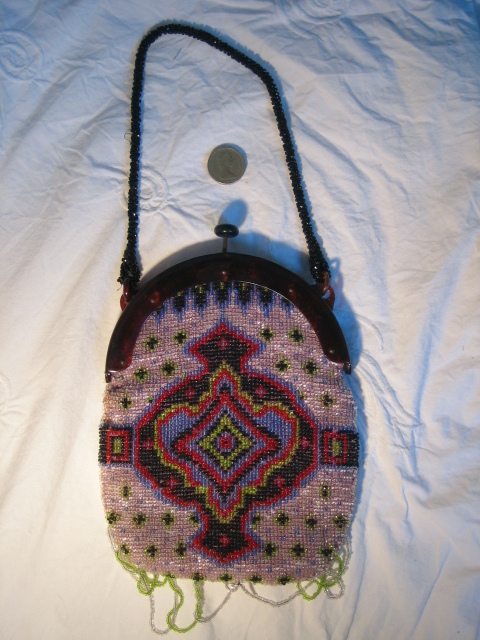 It is in excellent condition; I hesitate to say 'perfect', although have not noticed any faults or missing beads, as there are literally one or two loose threads on the handle. 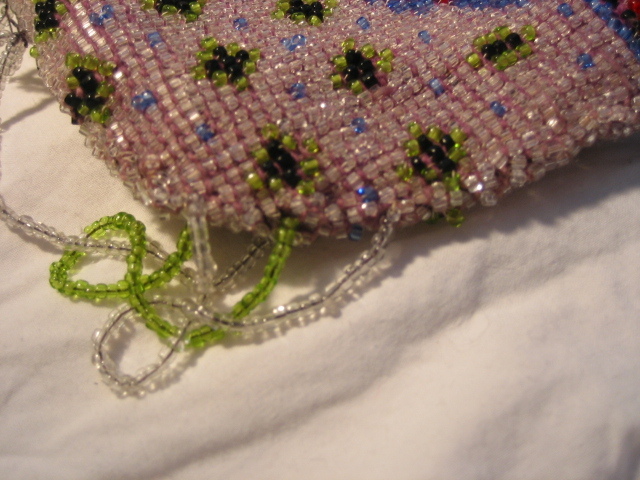 The bit I am most curious about is the bottom, which has intertwined loops of green and silver beads for part of its length, which should (presumably) have repeated; but there is no sign that anything has actually broken - possibly this was originally sold as imperfect. 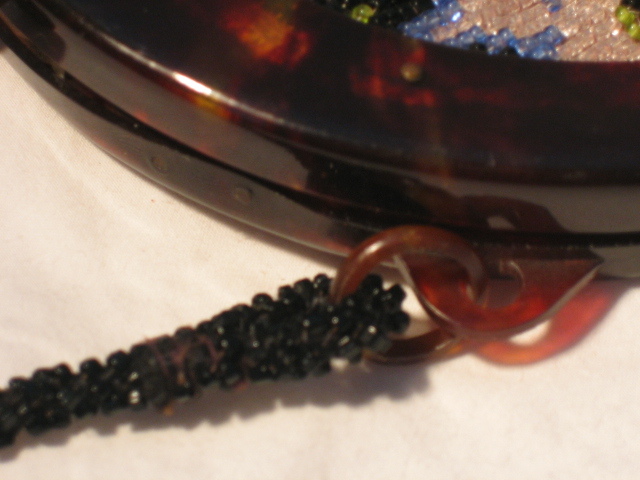 Approximate measurements are: width 6 inches (15 cms); length 6¾ inches (17 cms) from centre, not including trimmings; handle 13½ inches (34 cms) - just long enough to dangle elegantly from a wrist!